For Susan, painting is therapy. At her Raleigh studio she cranks up the music and dances as the art spirit whisks her away. 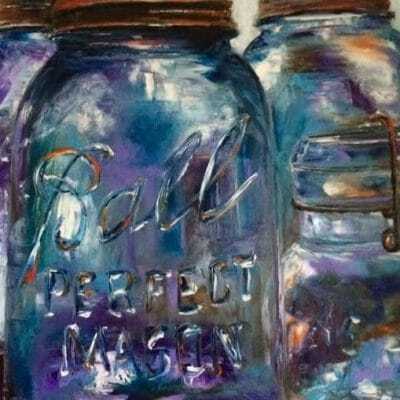 Whether you are painting ball jars, animals or street scenes, if you look hard enough your imagination begins to unveil an array of vibrant colors seen only by your eye. Spend the day with Susan as she loosens up your creativity with oils. The course will encourage students to paint outside the lines and have fun. Be sure to bring your favorite photo to paint. At the young age of six, Susan received an easel, palette and box of paints from her father, Finn, a professional portrait painter. Immediately she felt the gift of artistic expression that was so deeply rooted in the Dahlin family. After graduating with a B.A. from Penn State University in 1979, a career in broadcasting left little time for painting. 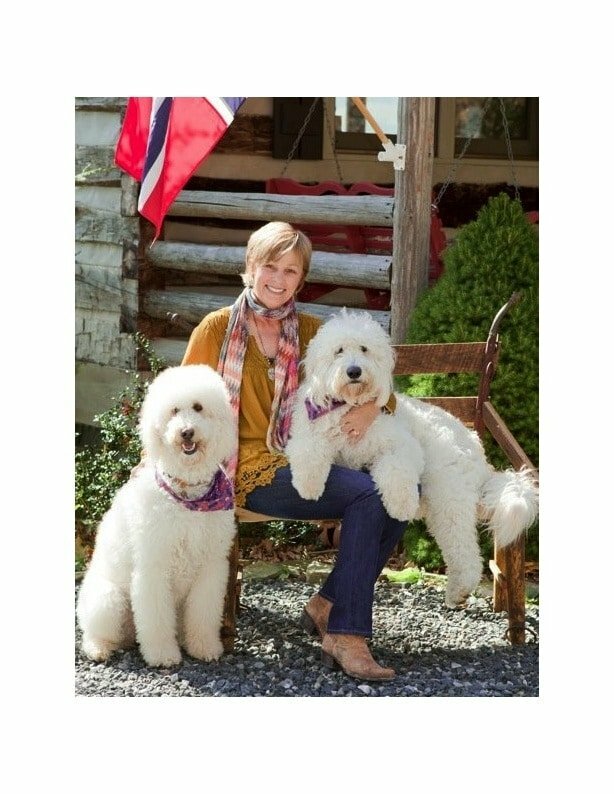 For nearly two decades, she worked both on and off the screen hosting television programs and producing award-winning documentaries at WRAL-TV 5 in Raleigh, North Carolina. 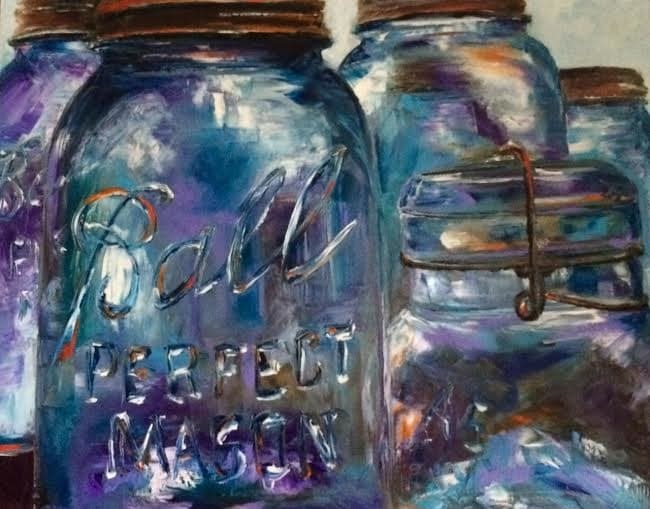 After the passing of her father, Susan returned to the canvas with a new inspiration. Tossing away the brushes for one simple palette knife, she now prefers to carve texture and vibrant color into every piece she creates. Her work is shown in galleries all across the state and hangs in many private collections, including the NC State University Chancellor’s residence and Brand Winery in Sonoma County, CA — to name just a few.